This amazing and wonderful app allows you to make any of your gesture for locking up android screen. 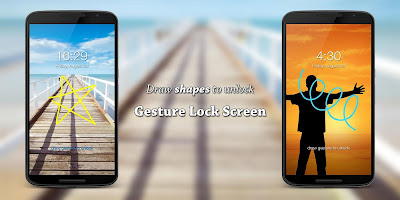 Download android apk app and set any figure or movement of your figure tip as password. 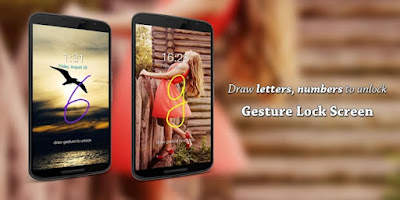 You can draw letter, figure, digit or any shap of your choice. 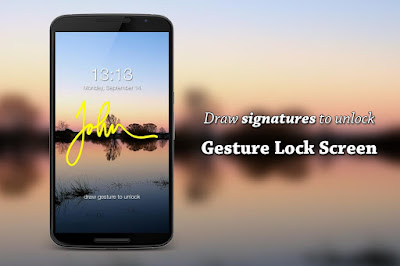 You can easily change again and again your gesture password for locked screen. 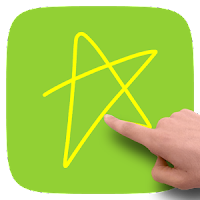 Many of the people have some signature for this app, so you can also make on of yours. There is an option of backup PIN or password so that in case your don't match the gesture then you can easily access your android device, but it wont compromise on your phones security. You can add or change a gesture of any type and shape. Once you set a gesture, you can re change it again and again as you desire. Color of the gesture is also customize able at lock screen. Apk app Allows you to set a backup pin or password. 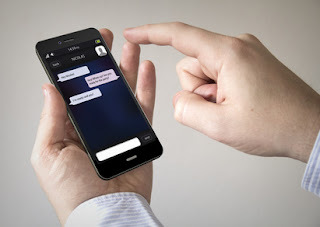 You can also make hide lines while unlocking phone. Customize able wallpaper,music and colors.